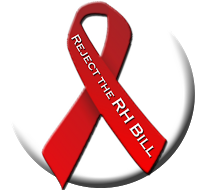 CEBU CITY, Nov. 17, 2012—The recently held Manila Family Planning Summit organized by a foreign government with big foreign agencies may have been a last-ditch attempt to push the reproductive health (RH) bill forward, but it ended up unwittingly revealing what the measure’s proponents and supporters have repeatedly denied: that the measure is of foreign origin. “The cat is now out of the bag, and everything we have been saying about the alien origin and design of this bill – which many may have found too outlandish to believe before… has now been confirmed. The PICC Summit unmasked the Filipino authors, sponsors, and supporters of this bill, who have all been posturing as nationalists and progressives, champions of women’s rights, maternal health and poverty eradication, as nothing but puppets and petty agents of a foreign consortium,” said former senator Francisco Tatad on the first day of the National “Philippines for Life” Congress at the Summit Circle Hotel in Cebu. “Now is the time to say, ‘now you have been found out,’” he added. The Manila Family Planning Summit, held at the Philippine International Convention Center (PICC) Thursday and hosted by the UK government with the Bill and Melinda gates Foundation (BMGF), United Nations Population Fund (UNFPA) and with a number of large European and American pharmaceutical firms, was a sequel to the London Family Planning Summit held in July where the BMGF raised $4.6 billion for putting 120 million poor women in developing countries on birth control. 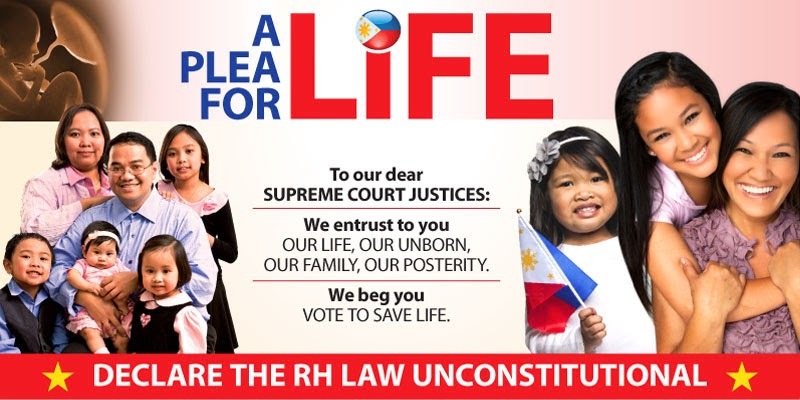 Those in the know, however, recognize this bid to fund RH services in developing countries as part of the depopulation agenda on poor nations specifically in Africa and Asia. According to Tatad, who has made the rounds of international conferences on development, family and life issues in the past several decades as a lawmaker and Cabinet official, and continues to participate in global efforts to deal with socio-political concerns, Family Planning Summits similar to those conducted in London and Manila had taken place in other parts of the world, with the Gates couple – long known for the eugenicist direction their foundation is taking – at the helm. However, based on the response from other nations, it looks like other poor peoples have a better grasp of the situation. “African women’s groups told Melinda Gates they needed food, education, shelter, real health care, not contraceptives and condoms,” Tatad related. He cited the need to help others go beyond a superficial tackling of vital issues, such as corruption. 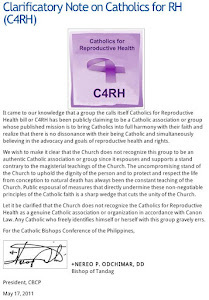 He once again alluded to the revelations that resulted from the foreign-sponsored Manila Family Planning Summit and appealed to the even participants to be more pro-active, especially since mainstream media generally cannot be relied on to dish out all the facts on the issues. “We cannot expect the conscript media and the principal organs of government propaganda to explain this to our people. They will likely censor it, or give it an altogether fanciful meaning. But we in this assembly have a duty to understand it and share it with the rest of our countrymen,” he asserted.